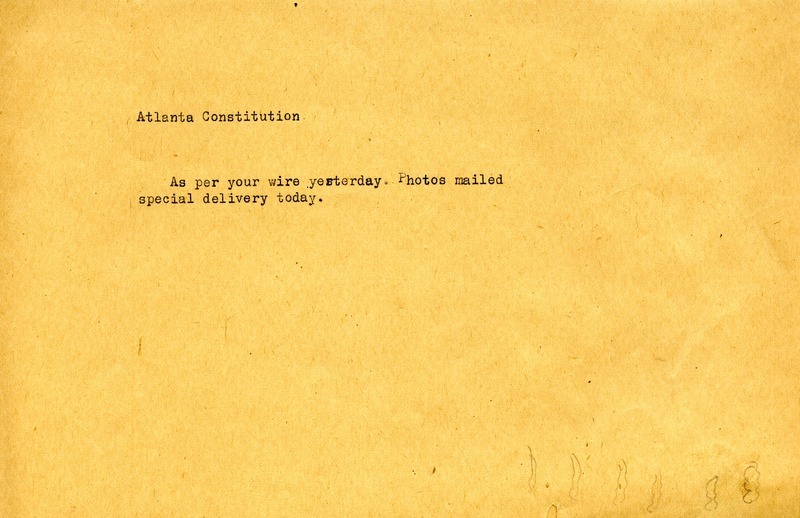 A note (probably a telegram) informing the Atlanta Constitution of the photos mailed special delivery that day. Miss Martha Berry, “Note to the Atlanta Constitution from Miss Martha Berry.” Martha Berry Digital Archive. Eds. Schlitz, Stephanie A., Jessica Hornbuckle, Camille Hanner, et al. Mount Berry: Berry College, 2013. accessed April 25, 2019, https://mbda.berry.edu/items/show/11683.